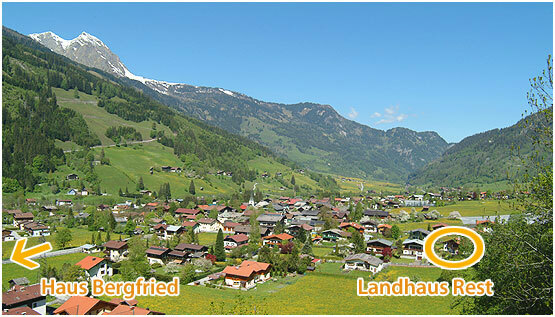 Our “Landhaus” is situated close to the centre of Dorfgastein. 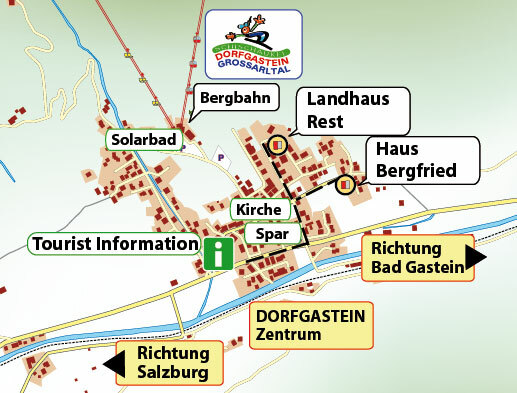 Coming to Dorfgastein, take the second drive in (at the supermarket Spar) left and then go straight ahead for about 200 metres. 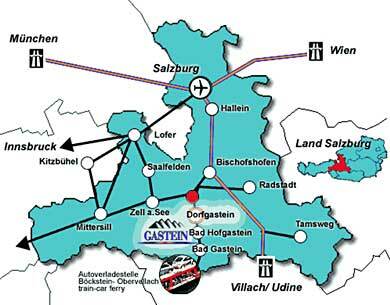 Take the third on the right and our house is on the right side after about 50 metres.